1. 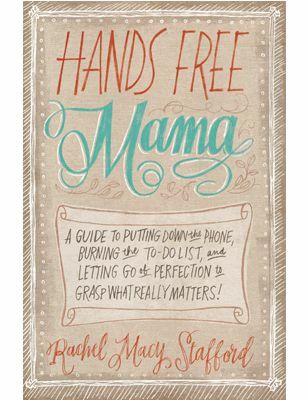 Hands Free Mama: A Guide to Putting Down the Phone, Burning the To Do List, and Letting Go of a Perfection to Grasp What Really Matters — As a Type A gal who struggles to slow down, this book really challenged, impacted, and motivated me. If you need some encouragement to spend less time distracted by devices and busyness, I’d highly recommend this book. For more inspiration, check out Rachel’s blog: Hands Free Mama. 2. The Surprising Secrets of Highly Happy Marriages — If you’ve heard me give my Say Goodbye to Survival Mode talk this year, you’ll remember that I read the Fantastic Five for Him from this book. I loved the five simple but highly impactful things this books shares that wives can do to show their husbands they love him. And my husband (and other guys I’ve asked) have agreed that the list is spot on! 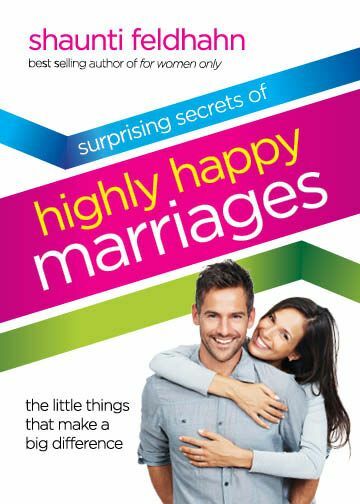 If you are married or planning to get married, do yourself a favor and get a copy of this well-researched book. Even if you don’t agree with everything in the book, I’m pretty positive it will make you step back and examine how your actions and attitudes toward your spouse. 3. 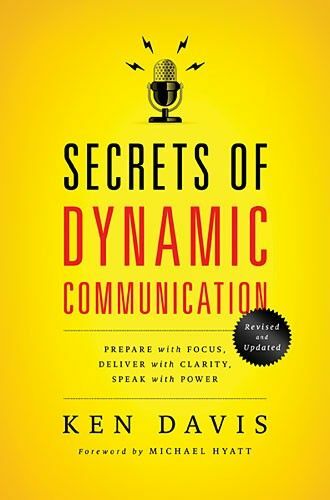 Secrets of Dynamic Communication — If you are an author or a speaker (or you hope to become one! ), I can’t recommend this well-written book highly enough. Ken Davis is a dynamic speaker with years of experience and he’s a goldmine of wisdom. By following the things I’ve learned from him, I’ve become a much more effective and engaging communicator. 4. 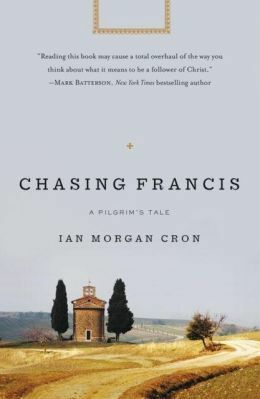 Chasing Francis — I wasn’t sure what to expect with this book, but the title and description intrigued me and it was endorsed by Mark Batterson (an author I love — see below! ), so I read it. And I’m so very grateful I did because it messed with me in a very good way. It challenged me to step back and really examine my beliefs and how I’m living out those beliefs. 5. 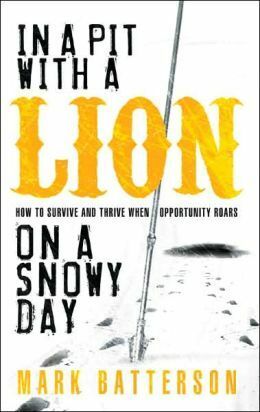 In a Pit With a Lion on a Snowy Day — Since I’ve loved the other Mark Batterson books I’ve read, I picked up this title based upon his name alone. And it turned out to be the best book I’ve read in a long time. In fact, if you’ve spent any time with me in the past three months, you’ve probably heard me talk about it. If you are struggling with direction, wondering what your purpose in life is, and questioning what you were created for, do yourself a favor and read this book. You just might not be the same ever again! 6. 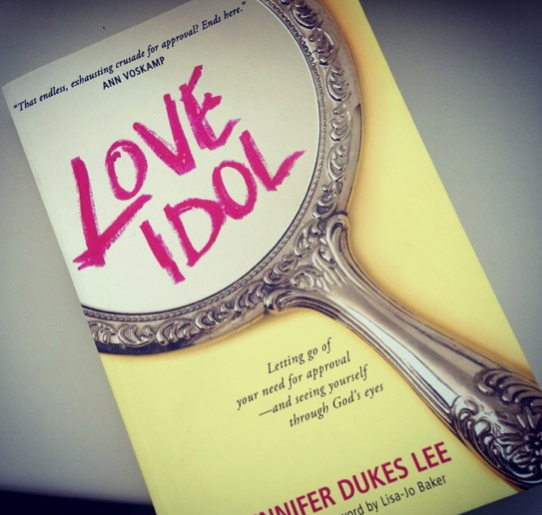 Love Idol: Letting Go of Your Need for Approval — And Seeing Yourself Through God’s Eyes — I highly, highly recommend this book if you find yourself (like me) having perfectionistic, people-pleasing tendencies. It’s well-written and engaging, but more than that, the message is powerful, freeing, life-changing! 7. 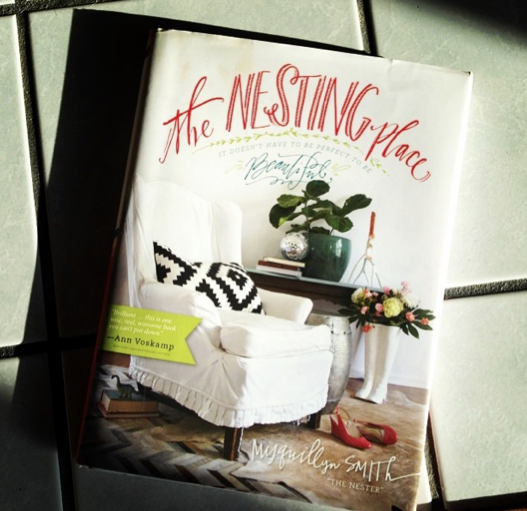 The Nesting Place — Confession time: I’ve never nailed anything on a wall on any house I’ve ever lived in (friends & family have taken pity on me and done it for me), but this book moved me at a deep level. I want to stop making excuses that “I’m not a decorator” — borne out of my own insecurity and concern over what people will think or that I’ll do it all wrong. Instead, I just want to be free to experiment, take risks, and try new things — not only when it comes to our home decor, but in all areas of my life. It’s time to say goodbye to performance, perfectionism, and people-pleasing… And to start living with braveness and boldness. 8. 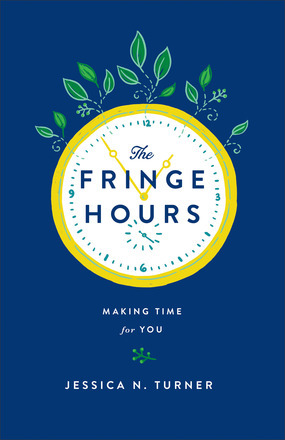 The Fringe Hours: Making Time for You — One of the perks of being an author & blogger is getting to read pre-release copies of great books like this! If you feel overwhelmed with life and can’t seem to find time to recharge your batteries, I wholeheartedly encourage you to pre-order a copy of this book. I’ve long admired how Jessica manages to do so much, and yet still have time for things she loves — like hanging out with friends and family, scrapbooking, and blogging. In The Fringe Hours, she unveils her secrets to success and gives you the tools, tips, and techniques you can use to find time in your full schedule to refresh yourself and refill your tank, too. 9. 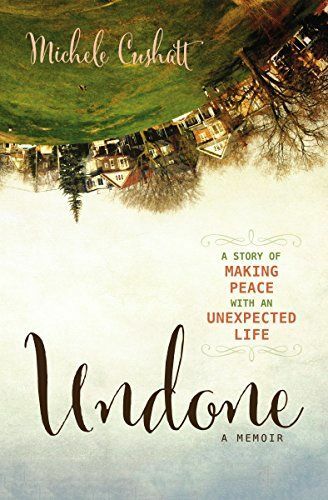 Undone: A Story of Making Peace With an Unexpected Life — Ya’ll. Do yourself a massive favor and go pre-order this book. It is SO good. Michele is one of the best communicators I’ve ever known. The way she paints pictures with words moves and inspires me as a writer. But her book is much more than beautiful word pictures; it’s the story of a woman finding hope and peace in the middle of messes, heartaches, and unexpected difficulties in life. Highly recommended. 10. 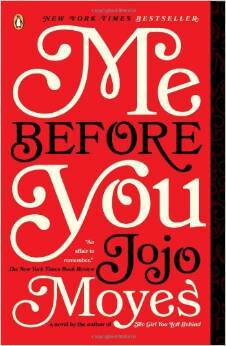 Me Before You — This was one of the most heart-breaking, compelling, and thought-provoking books I’ve read in a long time. I thought it was very well-written and found it hard to put down. In fact, I read the entire book in one day! Caveat: This book is not written from a Christian perspective, has quite a bit of language, and the plot line deals with suicide in a very raw form. I didn’t agree with the outcome of the book, but it made me dig deep and think hard… and books that do that are ones I feel are very worth my time. What were your top reads from this past year? Any books that I must, must read? I’d love to hear! You are so welcome! I had so much fun putting it together! I love the recap. I am always looking for new books and I haven’t read any of these before. Must go to the library. I always forget about the library! It is transforming…specifically in regard to handling suffering in light of Jesus meeting us. Yes, “Kisses From Katie” is one of my favorite books, too! I love The Secret Garden. It was a childhood favorite. I listened to it on audio again this year, and it felt like meeting an old friend again! Oooo…I’ll have to check out when More Isn’t Enough with a 1 yr old at home. Read “The Hardest Peace” by Kara Tippetts. It’s an amazing book written by an amazing author. My favorites were Hannah Coulter by Wendel Berry, Fit to Burst, and Daring Greatly. Ian Morgan Cron’s book “Jesus, My Father, the CIA, and Me” is one of my top three favorite memoirs. I don’t know how I missed this one by him! I just reserved it at the library. Oh yes, my world stopped for about three or four days when I got my new Mitford novel! Wow, I’m astounded by all the reading you do. Thank you for sharing your list. I’m a slow reader but am looking forward to reading your top 10 list this coming year. Blessings to you for 2015. I appreciate all that you do for your readers. My library had all of the books you recommended (except the pre-orders, of course)… so excited for some good reading material! Great line up! I’m currently reading Hands Free Mama. It’s terrific but I’m reading it slowly to actually learn and hope it sinks in deep. Life changing stuff, for sure. In a Pit With a Lion on a Snowy Day is on my reading list as well as The Surprising Secrets of Highly Happy Marriages . I loved the book by Hands Free Mama and the Nester’s book too! They were also of my favorites for the year. I also loved Surprised by Motherhood by Lisa Jo Baker and Small Victories by Anne Lamott (still working my way through this one but it’s great!) The Fringe Hours sounds like just what I need. That is going on my wish list. Thanks for sharing! I also forgot to mention Nourishing Broth by Sally Fallon. It is a brand new book by her. Not a novel, but still a fascinating read on the health benefits of broth. Also, I’ve been greatly inspired this year by Elevate the Everyday: A Photographic Guide to Picturing Motherhood By Tracey Clark. I have been rereading classics this past year and books I may have missed. One of those gems I found was the book Just David by Elenor Porter. It would be a quick read for you and it’s free on kindle. Much like Pollyanna, David the main character looks for the beauty in life. Great book! Finishing up “Bonhoeffer: Pastor, Martyr, Prophet, Spy”. Some books are “bubble-gum”; chewed up and spat out quickly. Others are “sustenance” and must be swallowed slowly. It doesn’t matter how “many” one reads, but how much each affects you. Is this a quote from somewhere? It’s brilliant!!! -The simple faith of Mister Rogers by Amy Hollingsworth, made me cry, I miss Mr. Rogers. -Things a Little Bird Told Me by Biz Stone, Twitter co-founder, a brilliant nerd who is not boring, a fun read. I also love Ted Dekker’s books and enjoyed AD 30 very much. Thanks for yours and readers’ booklists. I am excited to read in 2015! Could you give us some suggestions on how to find time to read? These books look great. I really have enjoyed reading The Marshmallow Test: Mastering Self-Control by Walter Mischel. The book has been very interesting and easy to read. Do you pick the books ahead of time that your going to read for the year? My daughter and I have been reading the classic, “The Giver” quartet by Lois Lowry, inspiring and thought provoking on so many levels. She has also become obsessed with Russia lately and has been reading all of the Patricia Polacco books (at least the ones at the library). Some of my favorites have been, Mrs. Katz and Tush, Rechenka’s Eggs, The Lemonade Club, Just Plain Fancy, Thank you Mr. Falker, The Bee Tree, The Keeping Quilt, The Trees of the Dancing Goats (great for the Christmas season) and there are more. Ms. Polacco has a way of telling an amazing story in a children’s book that moves me to tears most of the time. It really has been nice reading picture books again with my daughter and talking about the pictures and the story together. Amazing! The Depression Cure by Stephen S. Ilardi. My eldest daughter recommended it and was a required for a class reading, pretty informative and an easy read (even if you are not depressed). Very thought provoking and insightful!! The last book I read was Change of Heart by Jodi Picoult. Awesome read! Thanks for your great blog, love it!! Thank you SO much for including The Fringe Hours on your list. What an honor, friend. I highly recommend Ted Dekker’s Immanual’s Veins. I think you would be able to appreciate the deeper theme of this story. It is a book I read three or four years ago (wow – already?!) and has stayed with me for quite a while now. I love the theme of redemption hidden within something that could sit beside Stoker on a shelf. I found this one on the New Arrivals shelf at the tiny library at my foster mom’s the year we lost Grandma Ila. I am currently reading The Railway Man, an autobiography that I am recommending to everyone I know. It is deep and personal, and has me hanging on Lomax’s every ripping event. I also watched the movie (Hastings had free rentals for Christmas) of the same name, although the events shown are a bit different, and were filmed after his death. Lomax’s hold on his spiritual side seems to have been his saving grace, even in the face of certain death. I found a few of your top ten reading list at my local library, and placed holds on them, but have had a hard time finding some of the others. Any suggestions? Thank you in advance. I felt the same way about Me Without You…I read it in a day but was so sad with the end. I know it’s reality that there are sad endings…I just prefer the happy ones! It gave me so much to think about though! I’m sure you have read it but What Alice Forgot is another novel that drew me in the same way – I couldn’t put it down! Probably my most favorite fiction book to date and made me think a lot about my marriage, in a good way! Crystal, I seek out your booklist *every* year! I always find inspiration for great reads, thanks so much for sharing this with us regularly!! I read a ton (pretty sure I’m going to hit 250 this year, we’ll see…there are still a couple of days to go) and I don’t think I could narrow down a list of my favorites but I did REALLY, REALLY enjoy Rare Bird by Anna Whitson-Donaldson and What Your Body Knows About God by Rob Moll. Both are challenging and changing. So very highly recommended. ‘Love into Light: The Homosexual, The Gospel and The Church’ by Peter Hubbard. The only book out on this subject and it needs to be read by all since homosexuality is such a huge social issue at the present time. Peter is a former pastor of ours and he does not mince words. Not a quick read if you really want to be impacted you will need to take it slowly and pray for real change of your heart. How do you find the time to read or even the focus. I love to read and I grab your freebies when I see something that interests me, etc. but I struggle with finding time and being able to focus on what I am reading. This past year I have started a women’s book club at our church. We have read Kisses From Katie, The Waiting (by Cathy LaGrow) and The Same Kind of Different as Me. All of which I would highly recommend. We also read Unbroken and are currently reading Love Does. These books are great but can be a bit depressing at times and the women would like to read something a little more “light” and “funny”. Does any one have any suggestions? It would be great if they were also by Christan authors. Thanks! Thank you for the new suggestions! I’m thinking of starting a book club this year. I need to make more time for my girlfriends AND read more, so two birds with one stone. Again, the type A trying to cross things off my list. LOL. I agree with hands free mama, I read her blog and love it! Also when more is not enough by Amy Sullivan is a MUST read, she is such a great writer and her information about raising children who are selfless is not preachy but practical! I am still finishing this book up, but one of the best books I’ve been “reading on” in 2014 has been “How to Pick Up a Stripper and Other Acts of Kindness: Serving People Just as They Are” by Todd and Erin Stevens. Shocking title, yes. But it gets your attention, and the book is worth the read. It’s all about reaching people with the love and goodness of God, no matter what their circumstances look like. Very thought-provoking book … life-changing, actually. Superb selection! I would add “Mindful Loving” by Henry Grayson. He explores just how deeply connected we really are. 82 books? I am going to check out your favorite 10–do you read the books or do audio books too? I want to read 82 books this year! or at least 50…. a book a week–you are inspiring me! These were all books and a few ebooks. For the most part, I’ve found that I’m such a visual learner that I retain a lot more if I actually read the book. I’m in the midst of Fringe Hours and Nesting Place right now – and loving them both! I stopped counting at 40 books, shortly after my son was born. Oops. Looking forward to finding more intentional reading time this year! One of my favorites was “Surprised by Motherhood” by Lisa-Jo Baker which spoke to me when I needed it most. I read a pre-release version of Listful Thinking I was given for review. It’s a really helpful book to help me organize myself. I hope others find it as helpful as I did.